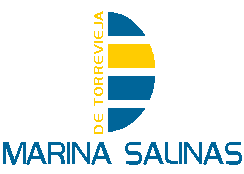 Thank you and welcome to torreVela Yacht Charter. Whether familiar with navigation or not, it is always a gift, to know the experience and the moments of the sea. And that is our goal and our philosophy. Enjoy in your free time our coastline and beaches, the harbor and the city from the perspective of the sea. To contact us, please fill out the short form, or Write us an email / text message / WhatsApp. With joy we answer this. Or give us a call. A nearby tour, a drive to the beaches, a mini cruise, a fishing trip, a celebration of an event, a romantic getaway, a weekend, navigation practices, we leave the countless possibilities and combinations of your choice. And if you like we will discuss with you your suggestions. Tell us your plan, whatever your budget is and we will find the right tour for you. Contact us and we will gladly inform you of all types of rentals available, special offers, destinations, activities and complementary services that you can enjoy.